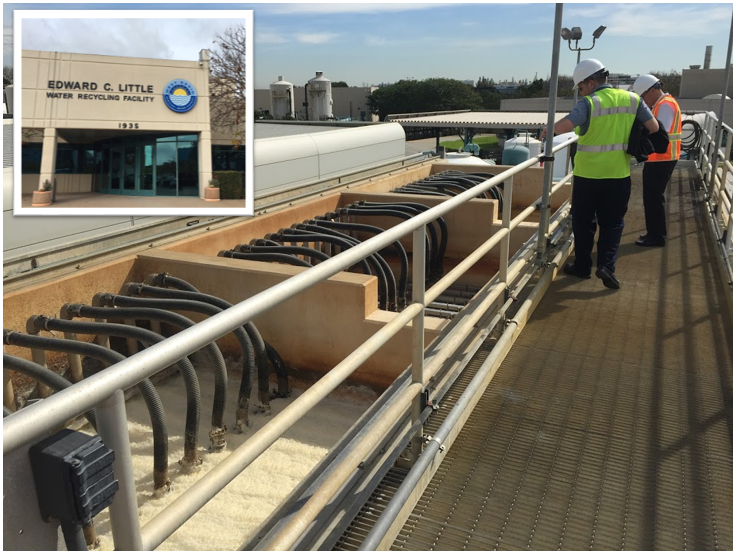 Scinor’s membranes help municipalities meet the strict regulations for discharged wastewater quality. Our membranes are ideal for tertiary wastewater treatment. Our wastewater membranes help meet strict regulations by removing total suspended solids and lowering turbidity levels to less than 0.1 ntu. Combined with upstream coagulation for enhanced contaminant removal, Scinor’s wastewater filtration is your solution for the increasingly strict wastewater and municipal water reuse regulations. Municipalities utilize Scinor UF membranes to treat multiple types of wastewater for different purposes. In areas where freshwater scarcity is a driving factor, Scinor membranes allow for the reuse of treated municipal wastewater in lieu of more costly freshwater sources for purposes such as groundwater recharge and industrial process water makeup. Indirect and direct potable reuse plant utilizing Scinor membranes are quickly growing in number. In other applications, spent filter backwash from multimedia and membrane filtration systems is treated with Scinor membranes to remove solids, utilize a positive barrier to remove pathogens, and increase overall plant recovery rates, allowing this source that would have normally been wasted to be utilized as finished product water. Wondering how Scinor can help with your Municipality’s water filtration needs? Call us or email us today; we’d love to talk. Scinor’s Thermally Induced Phase Separation (TIPS) PVDF membranes are what separates us from competition. These membranes offer a versatile and durable hollow fiber filtration solution for wastewater treatment. Users can expect higher fluxes, longer life, and lower capital and operational costs then any other membrane on the market.